Follow Isla Vista’s FMLYBND into their reverie. With their genre-bending hooks and their sincere cries to reshape electronic music, the band has their sight set on horizons beyond their slum beach haven. 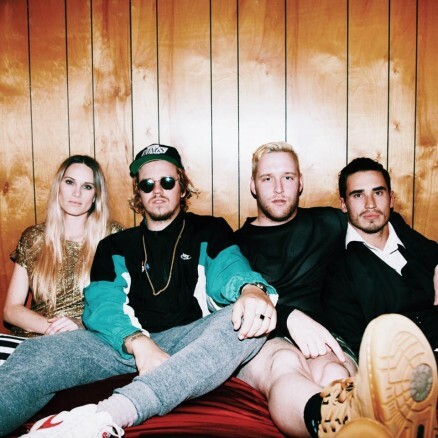 Coming off their 2014 EP and their hit “Come Alive,” which has already been featured on FIFA 15, FMLYBND continues to churn more danceable, foot-stomping anthems by giving away a song per month for all of 2015. Listen to each song on SoundCloud as they are released each month. The haunting synths and ethereal vocals are not the only things that define them: FMLYBND brims with electrifying energy. Catch them on tour supporting Milky Chance this spring! Also check out FMLYBND’s single “Electricity,” which hit #1 on the Hype Machine Popular Charts twice. And be sure to follow FMLYBND on their socials for more updates!